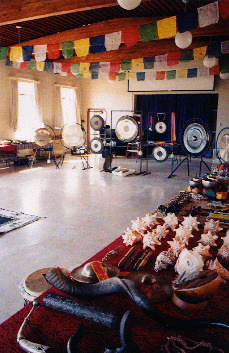 2003 Sacred Sound Winter 3 Day Retreat. 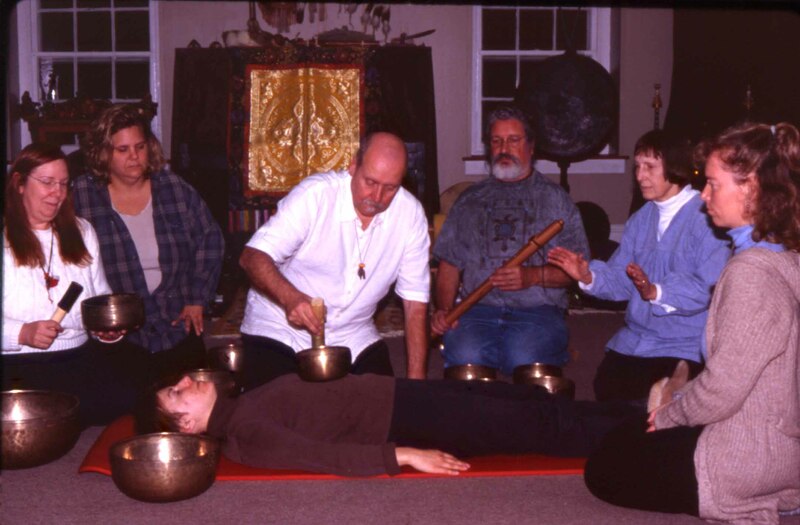 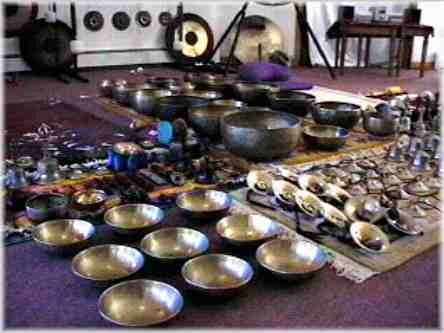 Mitch Nur demonstrates Singing Bowl therapy with some of the students. 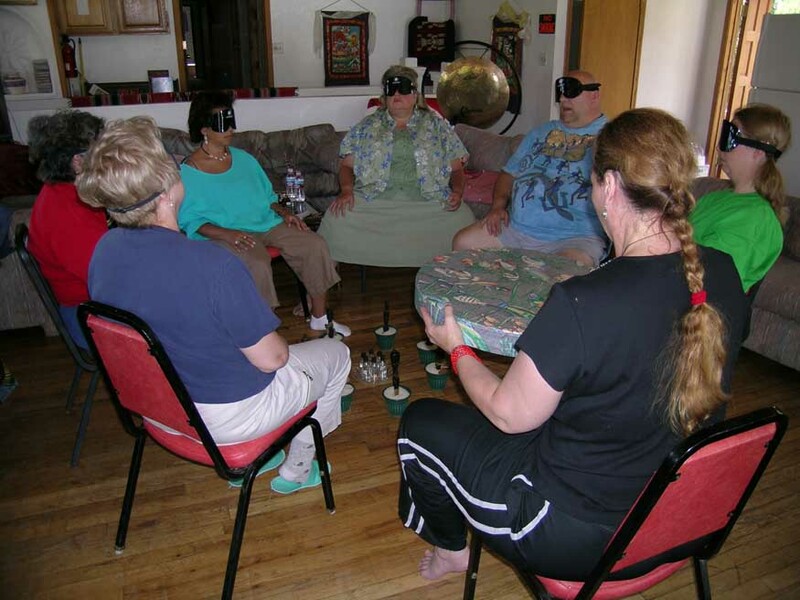 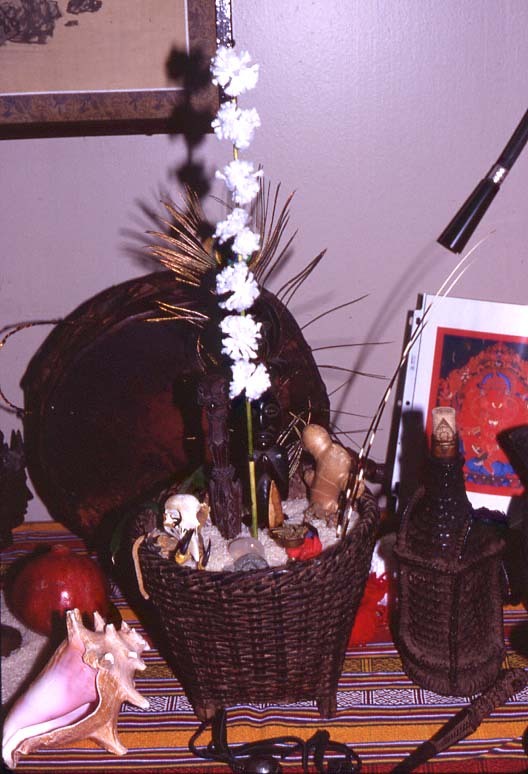 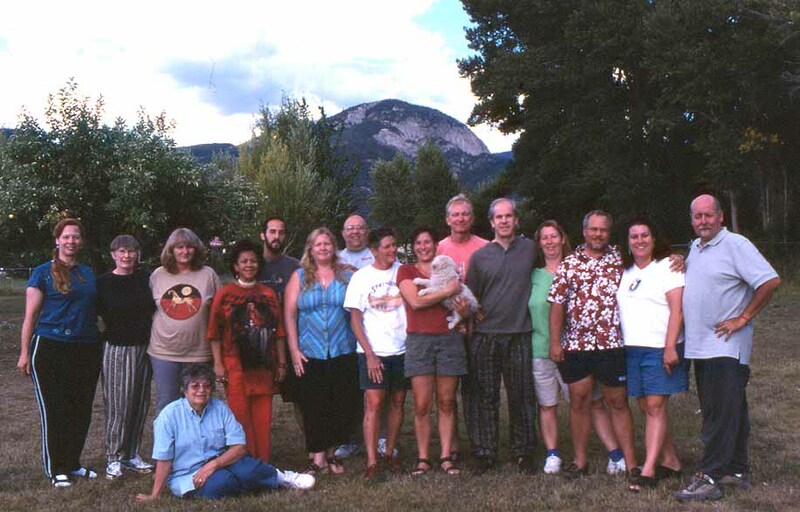 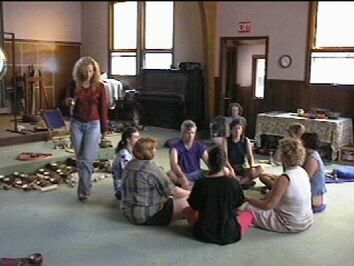 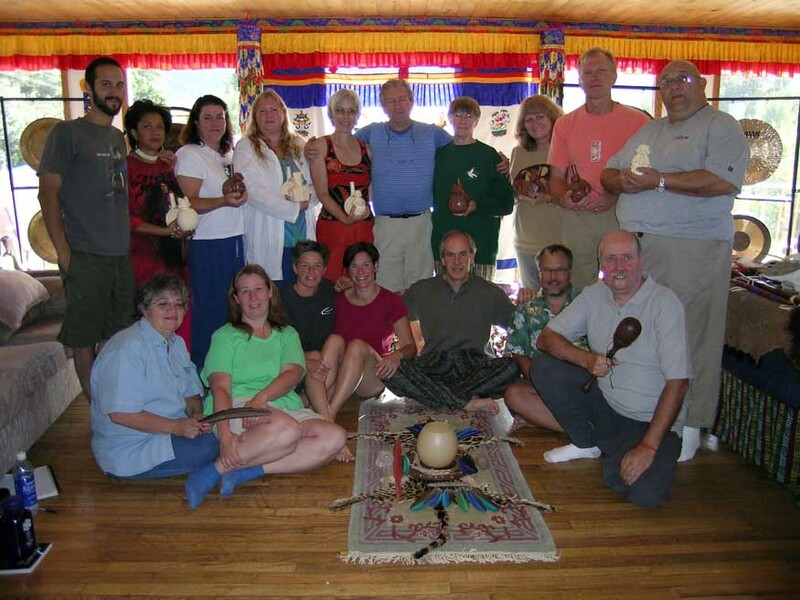 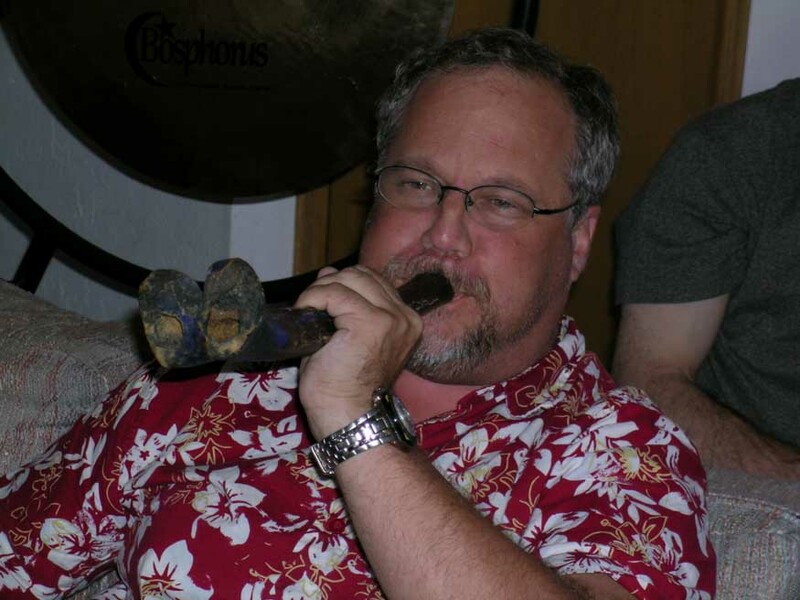 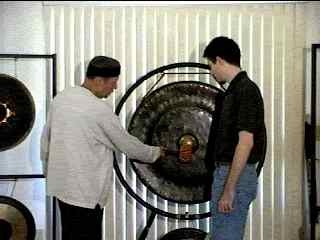 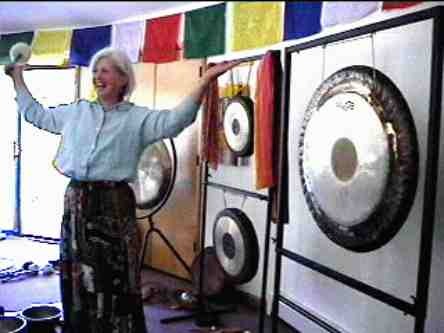 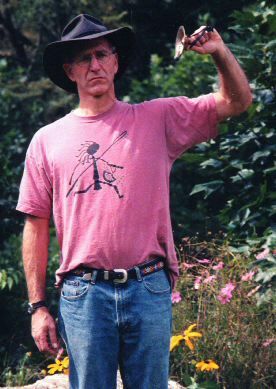 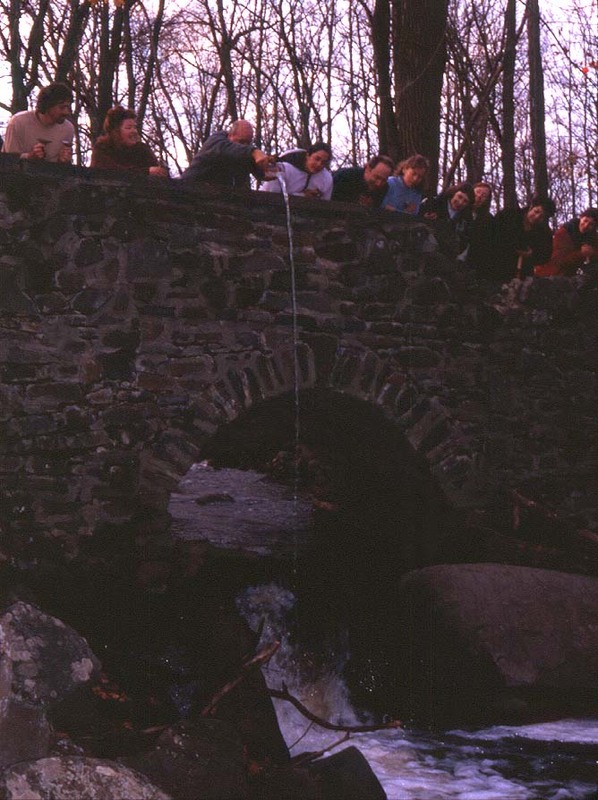 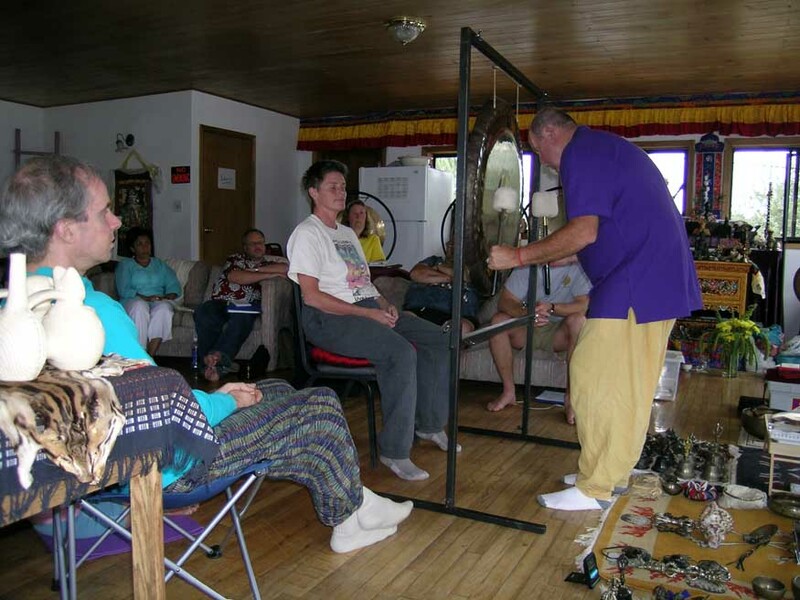 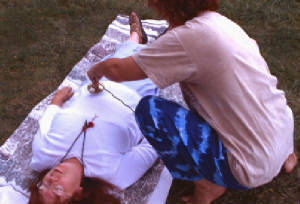 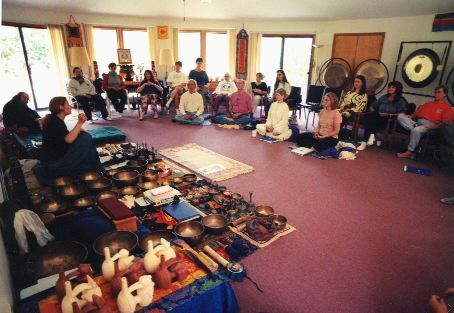 The 2003 Sacred Sound Retreat featured Altars from the various spiritual traditions of the world. 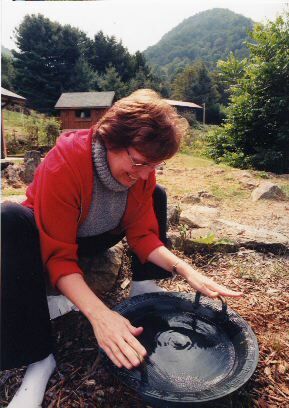 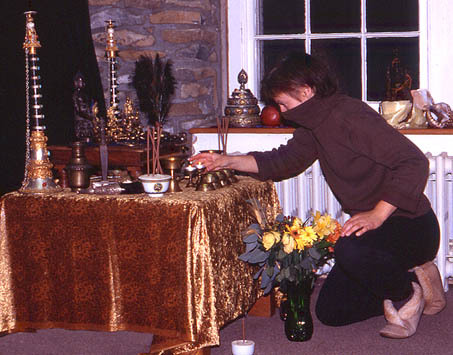 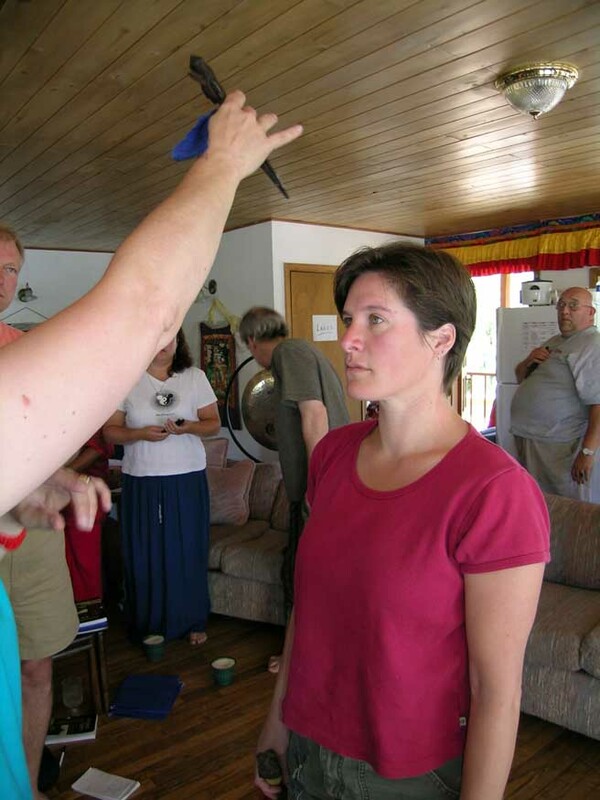 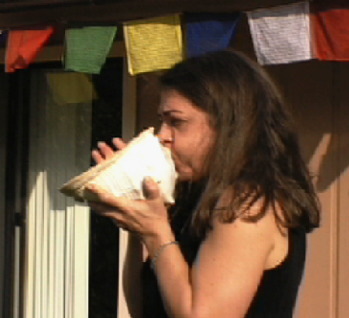 Here, Beth attends to a traditional Buddhist Altar, the traditional way. 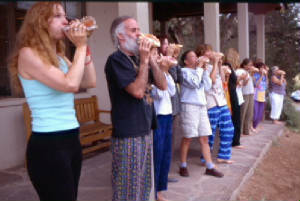 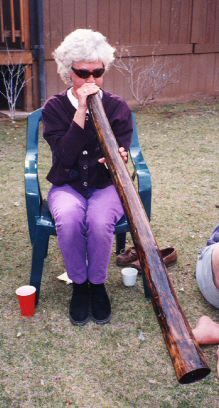 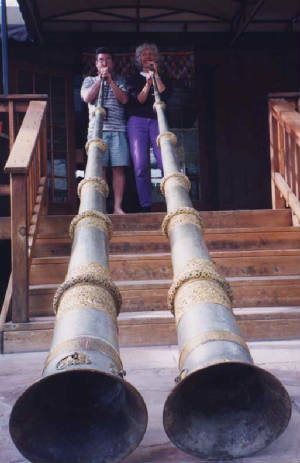 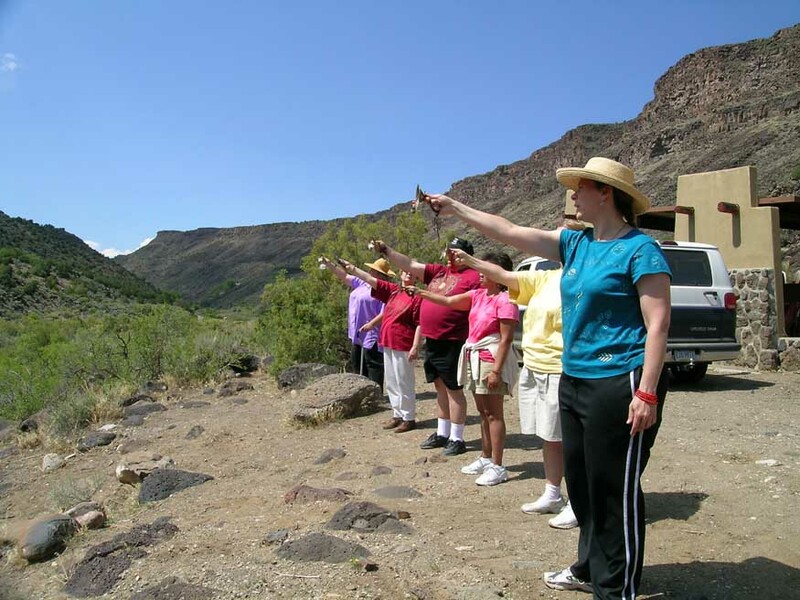 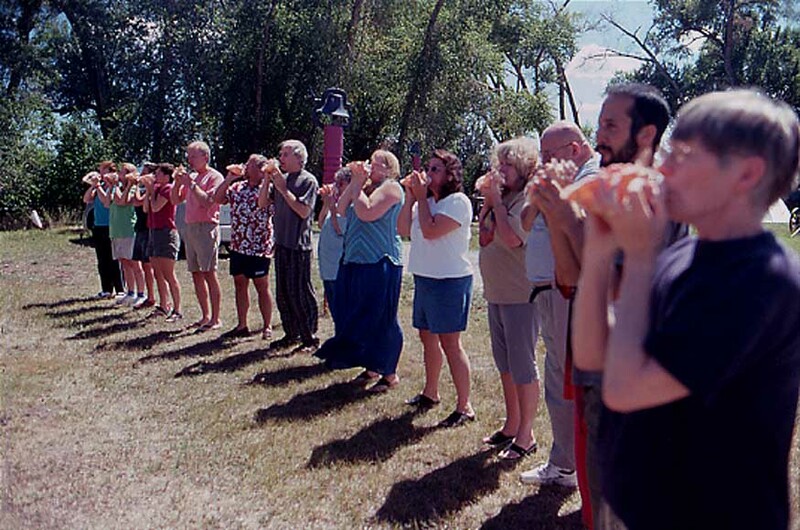 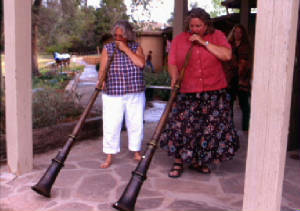 Students blow "Longchens" ( 12 foot Tibetan Longhorns ) at the 1998 Sacred Sound Retreat, Sedona, AZ.